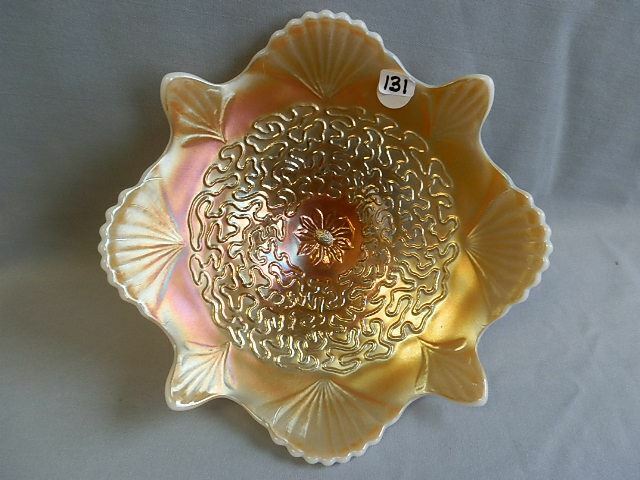 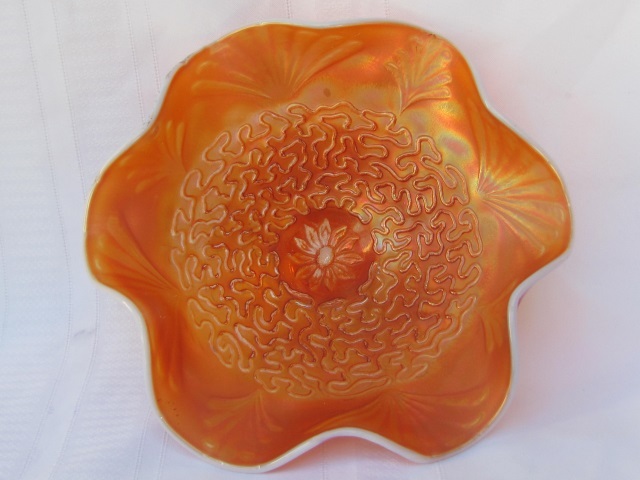 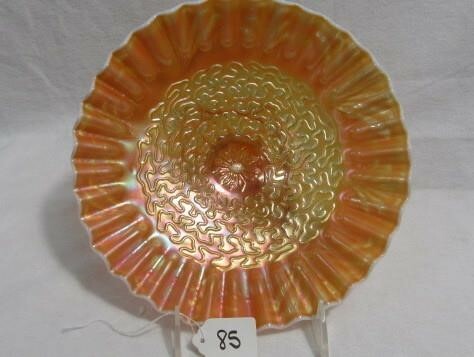 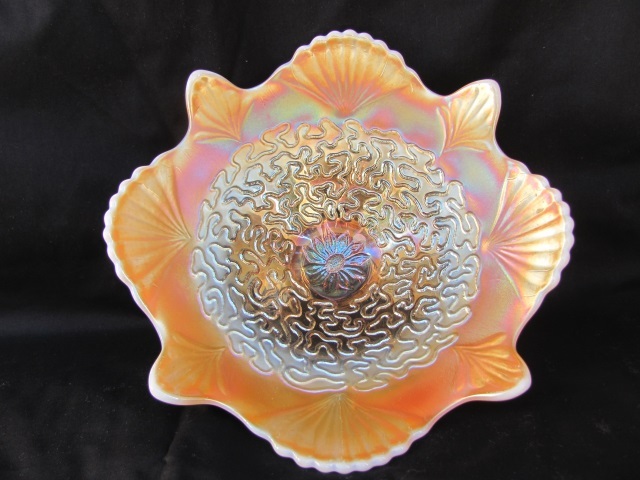 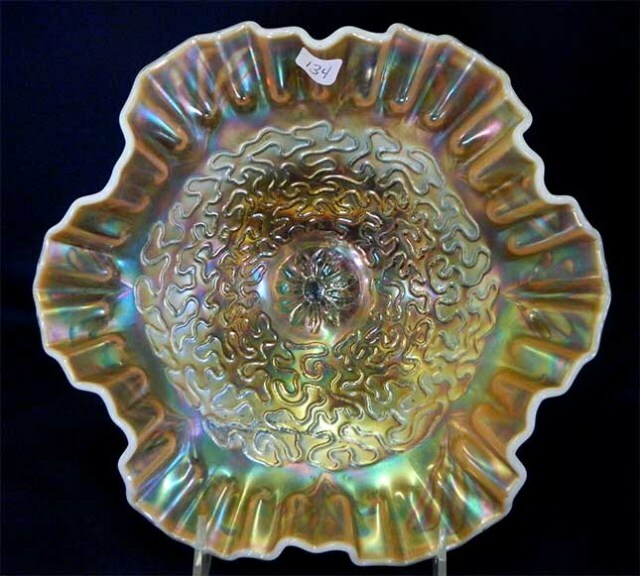 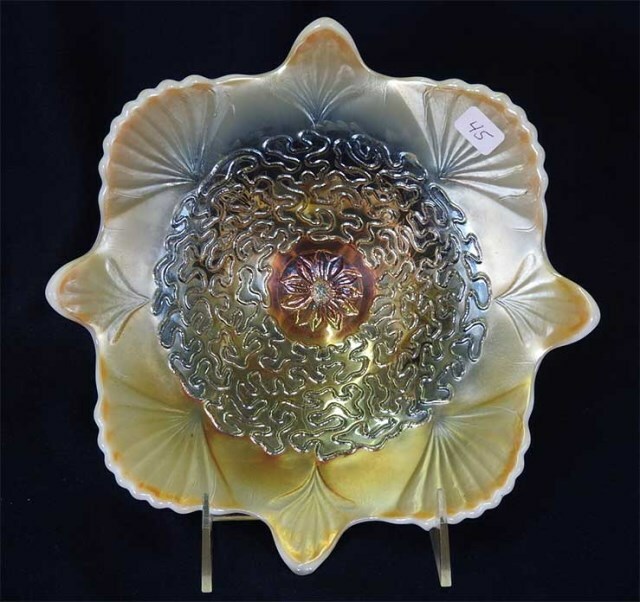 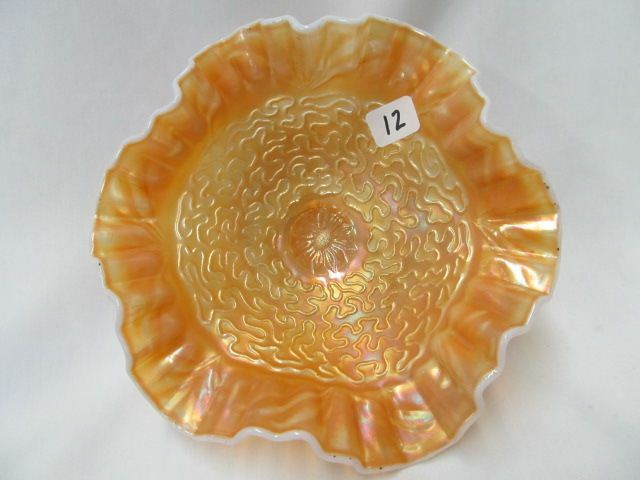 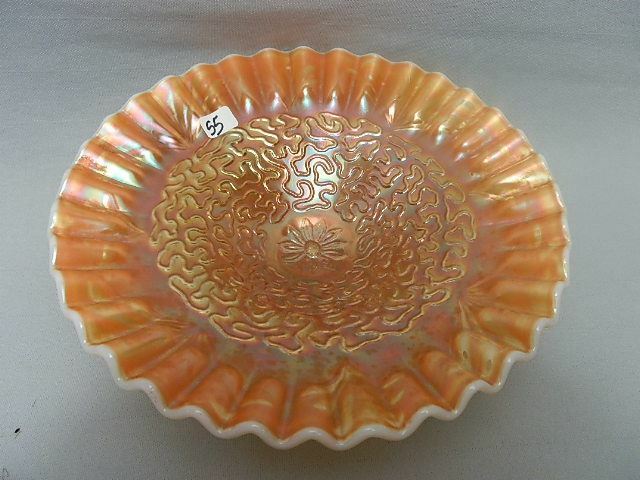 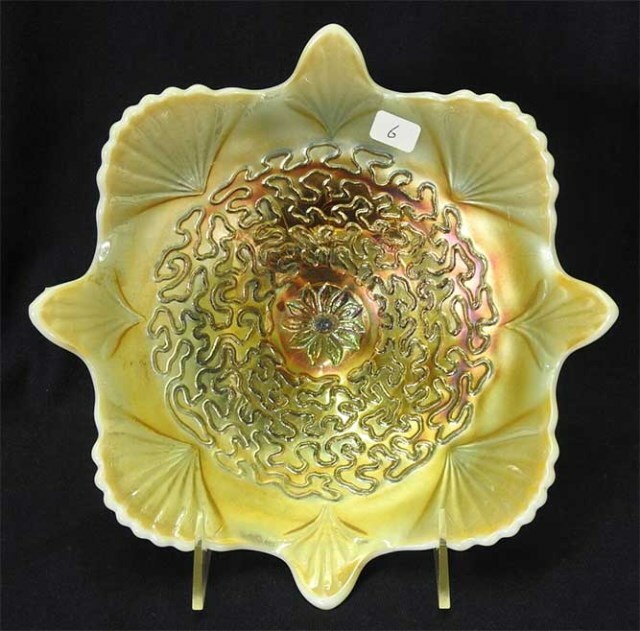 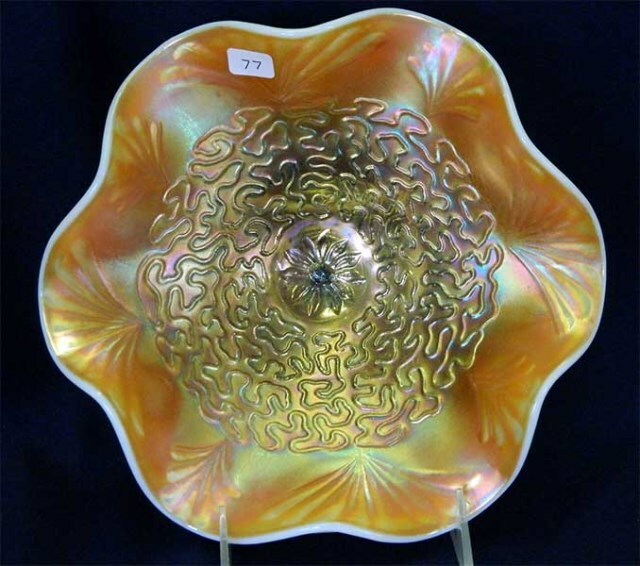 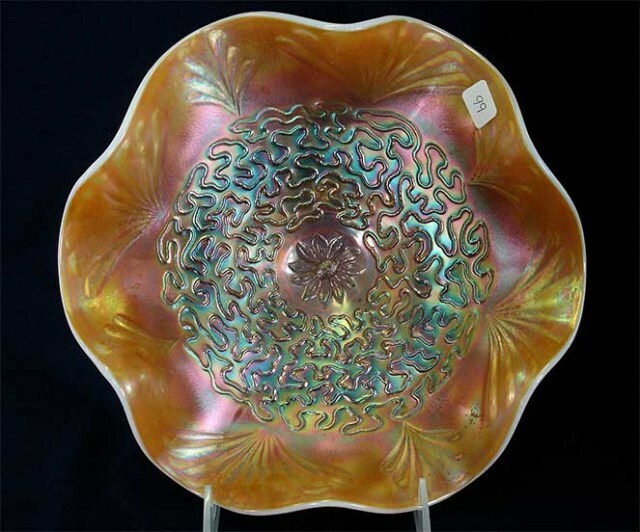 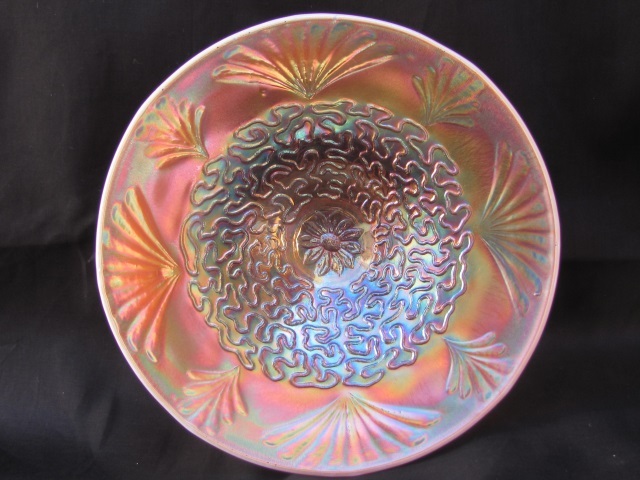 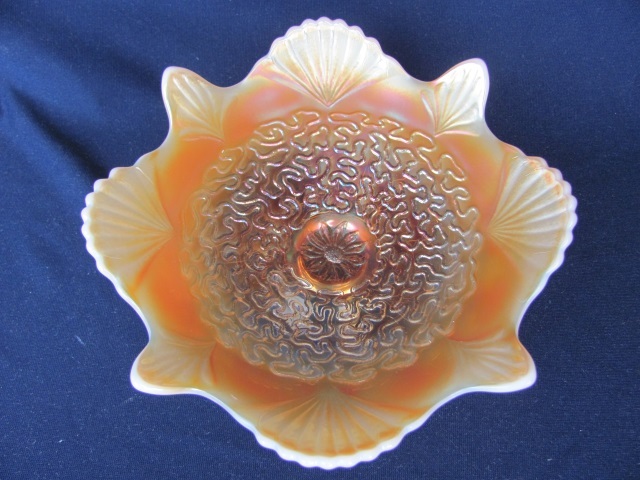 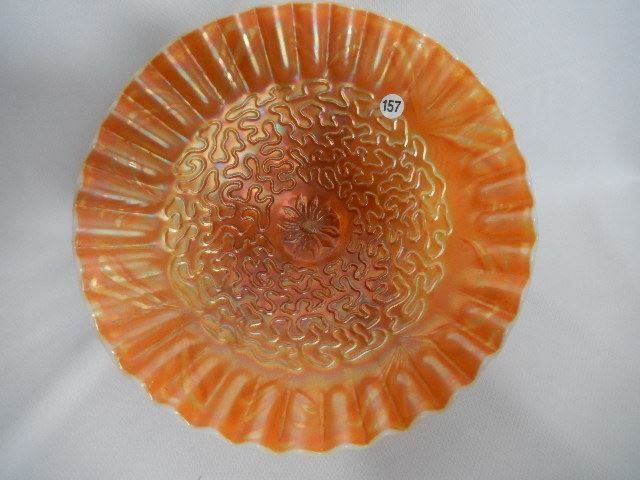 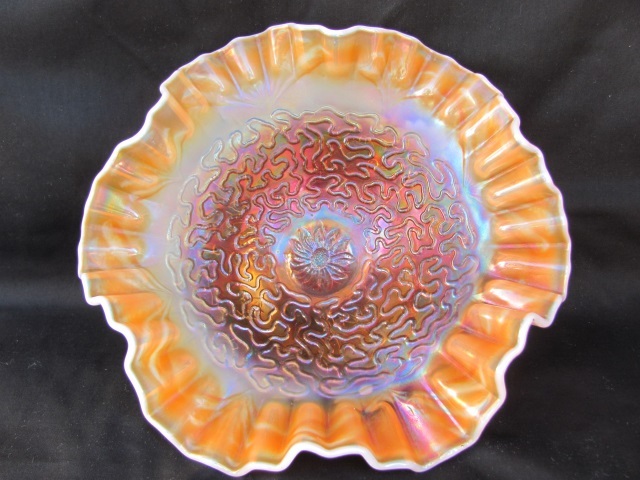 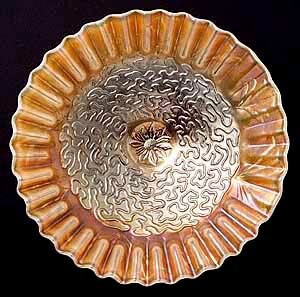 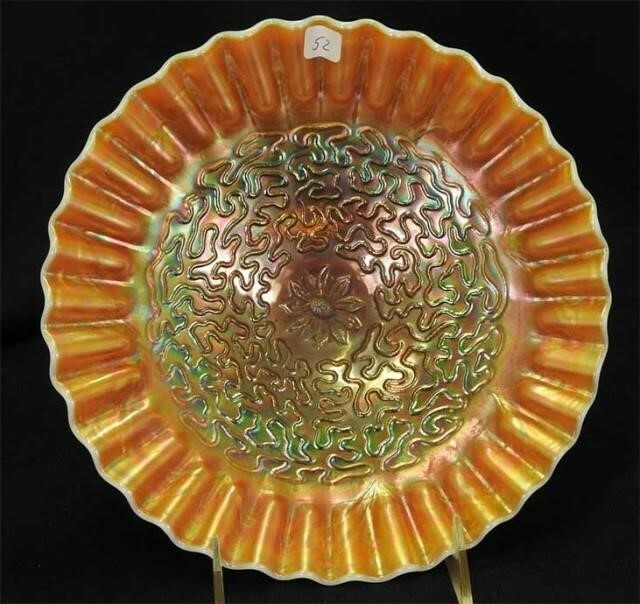 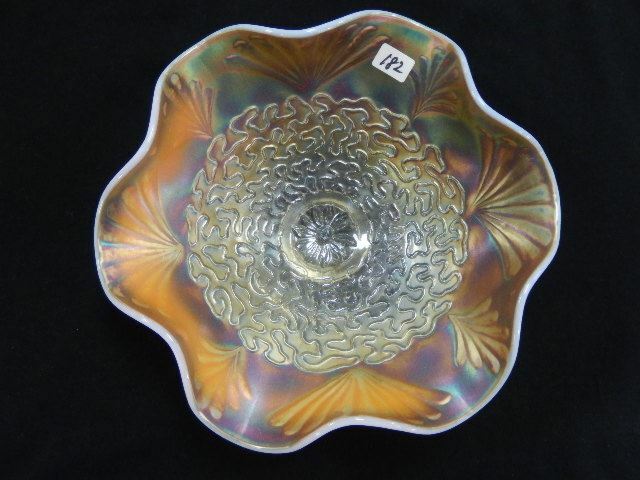 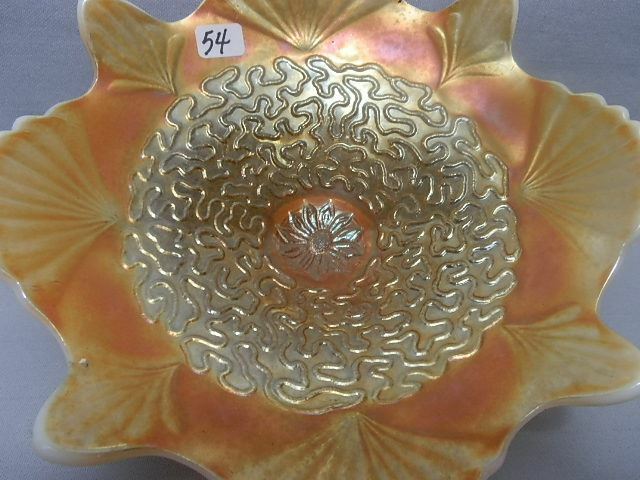 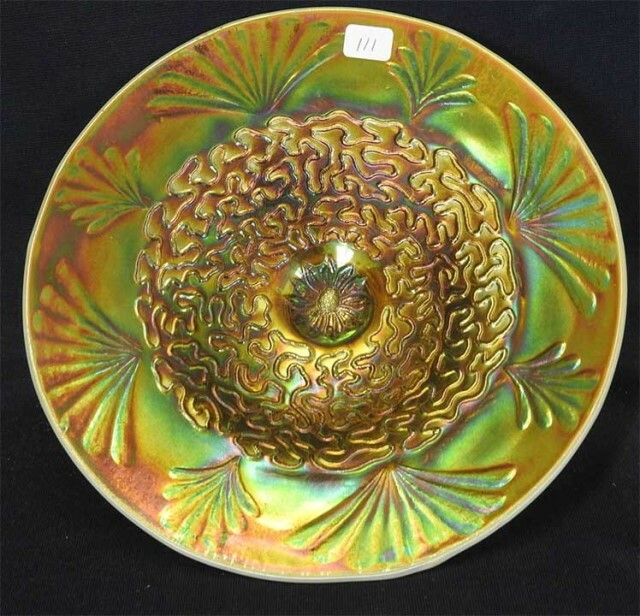 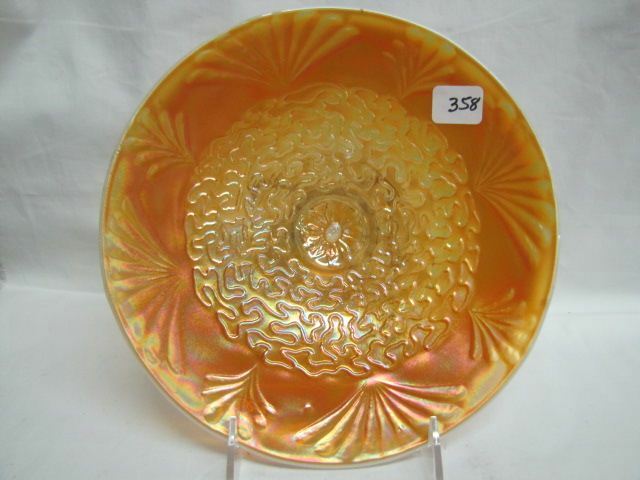 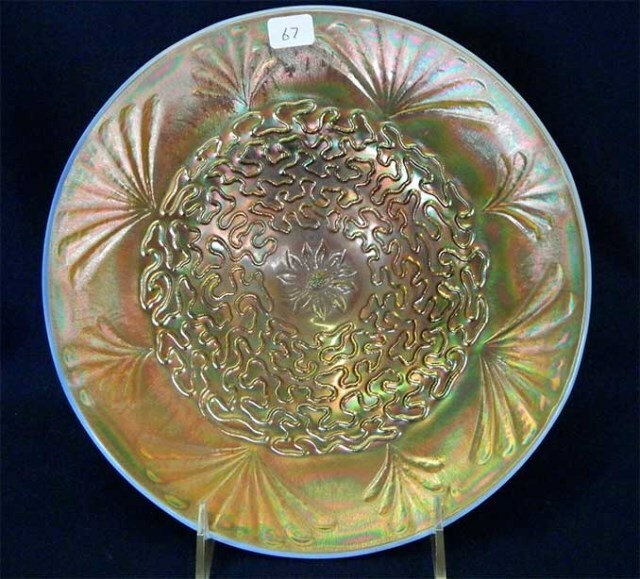 An unusual pattern with distinctive meandering lines and plumes or fans around the edge, hidden in the crimping in the round example above left, but which have been pulled in the whimsey plate at the right. 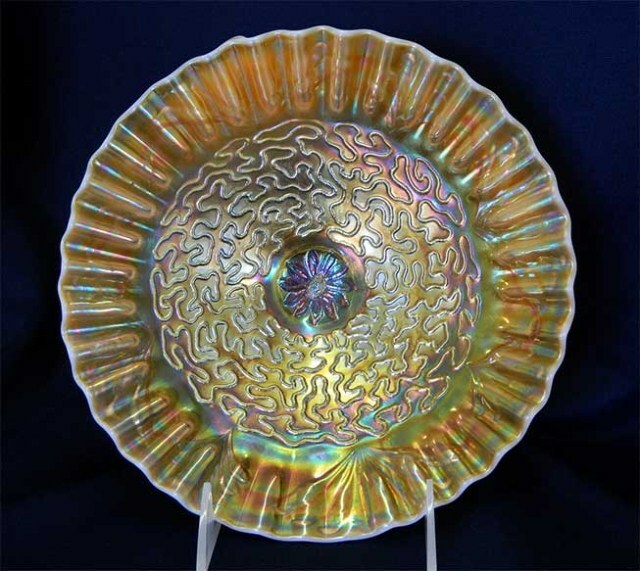 Soutache is a type of trimming braid, apparently similar to the design on this pattern. 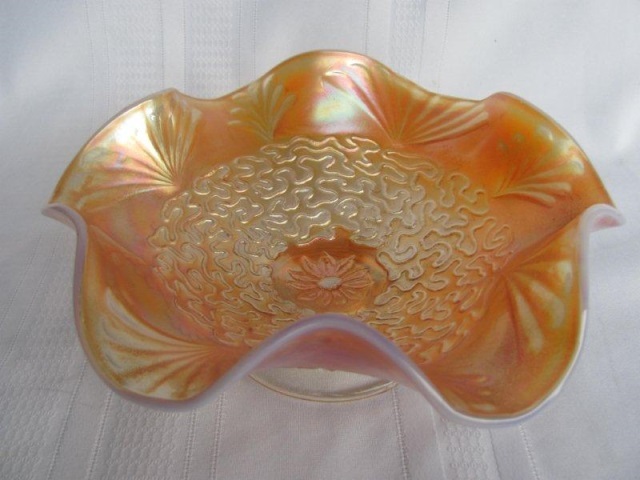 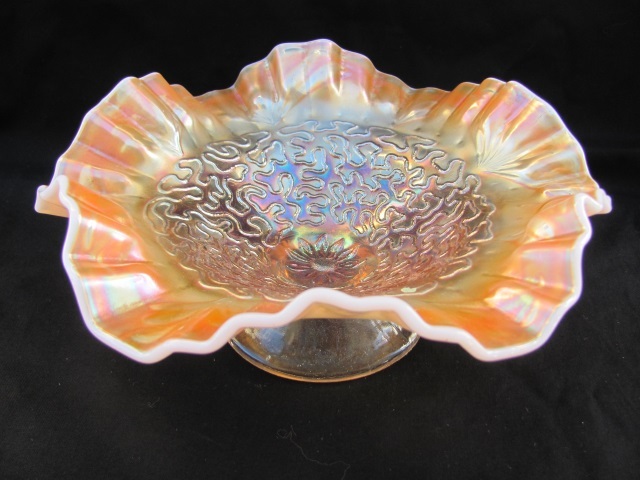 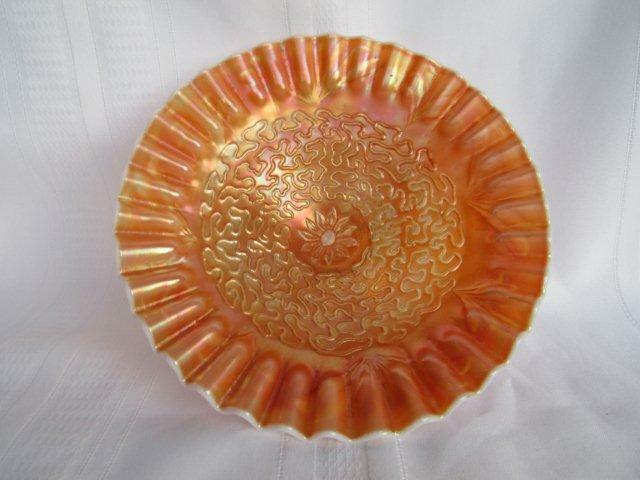 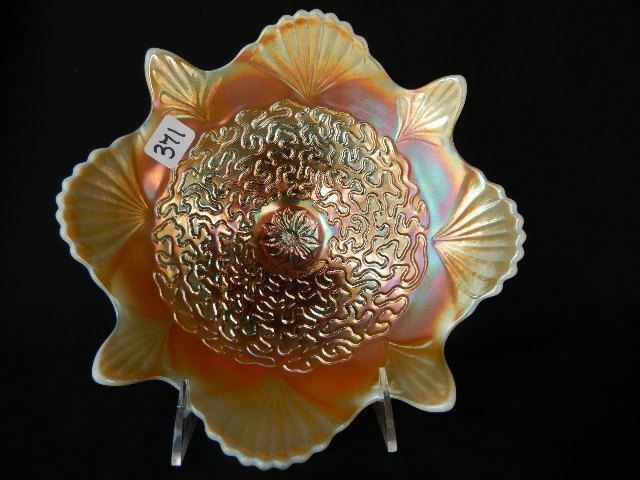 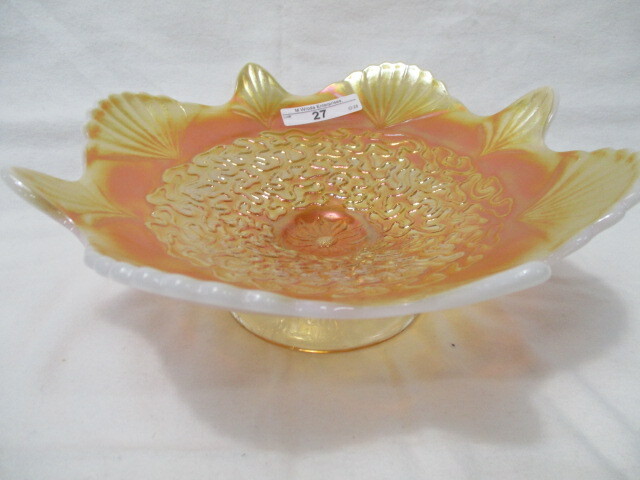 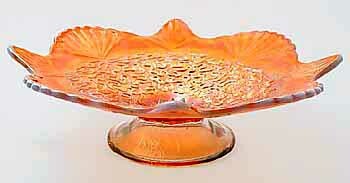 I've not heard of the pattern in anything other than peach opal. 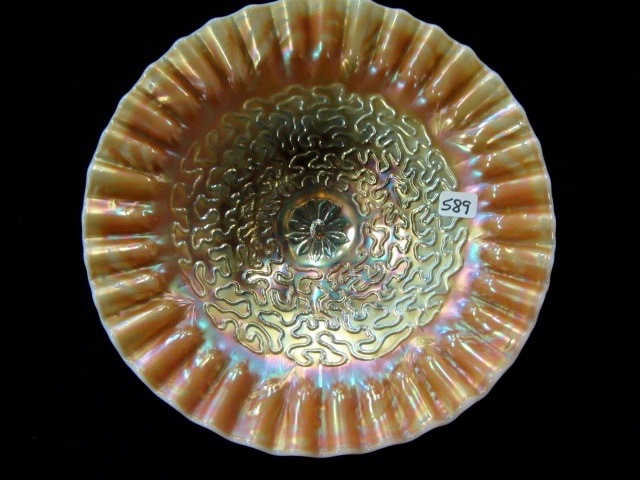 All pieces have the typical Dugan dome foot. 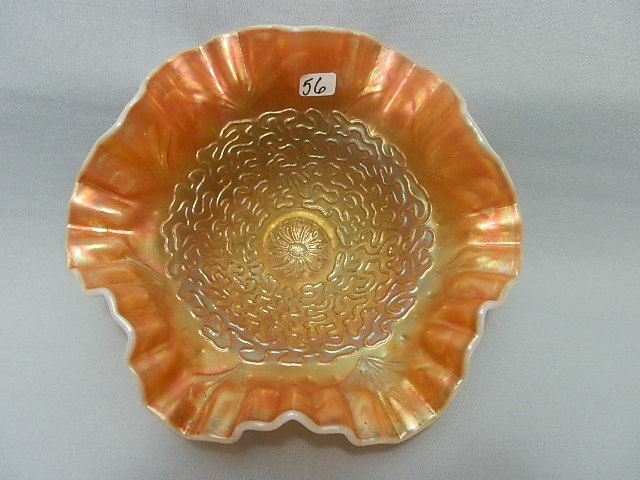 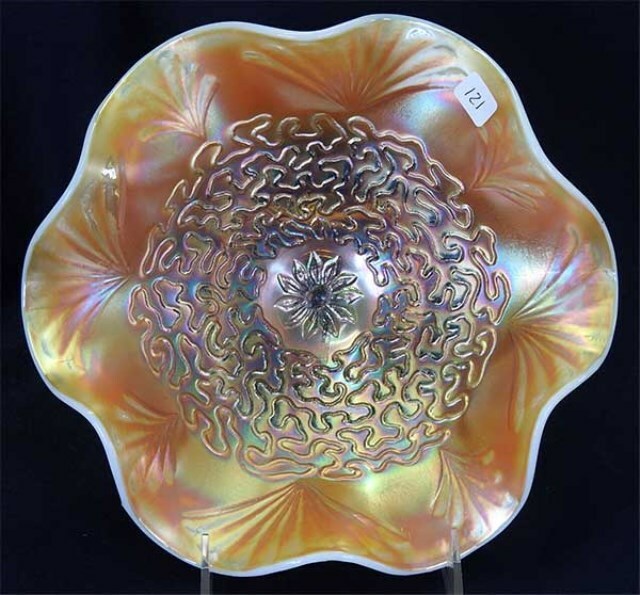 The crimpled plate sold for $140 in 1998; the whimsey plate for $425, with a face chip, also in 1998.